*Please scroll to the bottom of this page to inquire about a date or to book your party! ​When you book your child's birthday with George's Gym, you design your own party package, by first choosing the type and length of your entertainment, then adding any extras you might want. We can even handle serving any food or cake, for a completely hands free party for the grown up's! Take a look at our party options below and if you'd like to book your party or inquire about a date, we also have two super easy forms at the bottom of this page! Parents, it's time sit back, relax, and enjoy your child's party as much as they do! Just pick a theme, ANY theme, and invite all of your child’s friends to your house (or any venue of your choosing) for a party completely conducted by George’s Gym! For all of our traditional parties we provide a fully customized lesson plan, complete with games, group activities and a craft, that will be sure to make your birthday child feel extra special! 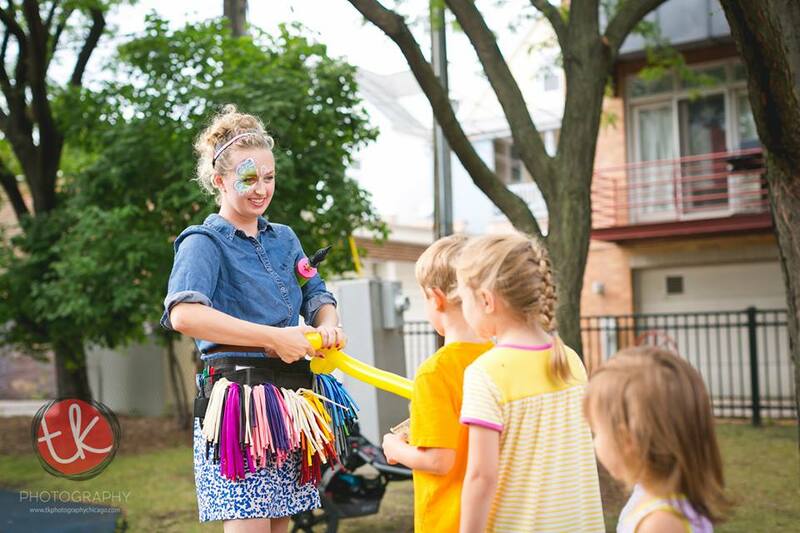 Our games include parachutes, bean bags, scarves, hoops, balls and balloons, music, TONS of imagination and so much more! George's Gym is very excited to officially announce our Carnival Party Package option! This type of party is great for large groups where free flowing activities are desired. George's Gym will provide 5-9 different activities set up as carnival booths. Some booths have games that are just for fun, while at others, the children will win tickets that can be turned in for prizes at our prize booth. All prizes are non food related and age appropriate toys, stickers, tattoos and more. Unlimited turns and prizes for everyone! 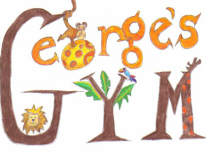 Imagine a George's Gym Party with all the usual bells and whistles tailored to your child's favorite theme, but then... IN WALKS THE CHARACTER OF YOUR CHILD'S THEME AND THEY PLAY ALL OF THE GAMES WITH YOUR CHILD!!! The characters will also provide photo opportunities for all AND even a sing-along/hero training included in your George's Gym Party Package! Choose from Princesses to Super Hero's and give your child a party where they are completely immersed in whatever it is they love the MOST! Characters are provided by Royal Princess Parties. Please visit their website to learn more or to see a list of available characters. At Royal Princess Parties, we bring those fairy tales to life through one-of-a-kind character visits, performances and celebrations. ​We come to you! We offer professionally trained characters throughout Chicagoland, surrounding suburbs of Illinois, Wisconsin and Indiana. We bring all the magic needed to ensure a stress free party. 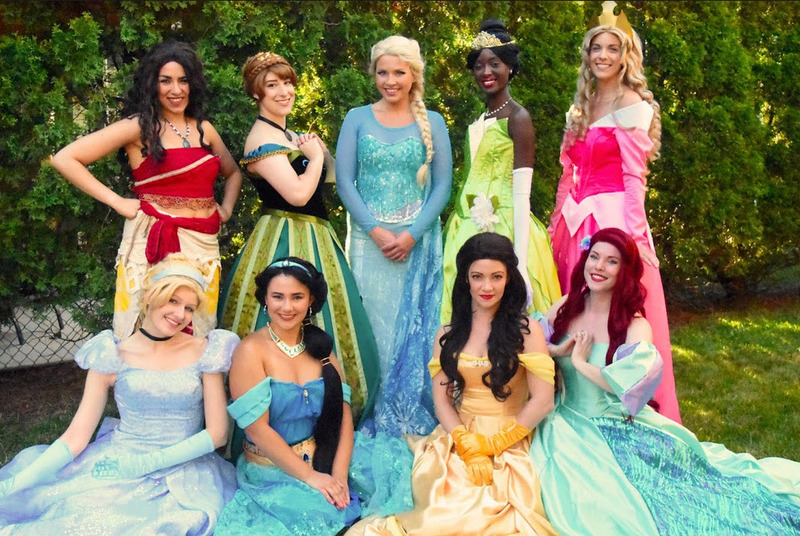 Book a party package with us and you can look forward to a fairy tale experience you can only find with Royal Princess Parties. Add extra fun to your party package with face painting or balloon art. Kids love the chance to express themselves through these playful works of art. Choose a single service (face painting OR balloon art) or a combined service (face painting AND balloon art. Parties with more guests will receive simpler designs. Parties with fewer guests will receive more elaborate designs. Travel fee may apply based on location. Deposit required. For more info on Megan, please click here to visit her website. Click here to ask questions about our parties or to inquire about available dates! Click here if you are ready to schedule your party! You will be charged a $25 rescheduling fee if you change the date or time of your party after it is added to our schedule. The fee will be added to the total cost of your party and will be due on the day of your scheduled party. You will be charged 50% of the estimated cost of your party if canceled within 2 weeks of your scheduled party date.